Proudly Bendigo, our sites capture the flavour of sunshine. Born of the perfectly suited climate, Zebra grapes have a tight core of bold, ripe fruit concentrations - displaying complex tannins retained in a longer ripening process. If you’re looking for a wine with a compelling edge, Zebra fruit offers a really unique subregional pinot noir character. Over the last decade Zebra has celebrated in the award-winning success of its partners, with wine made exclusively from Zebra fruit. With 20+ hectares still to plant, and the infrastructure for irrigation and frost-fighting already in place, we’re excited at the thought of expansion to include new varieties and clones. There is also an elevated terrace with scope for a gravity-fed winery, capable of processing 400 tonnes at full production, allowing for a 200 tonnes custom crush facility and opportunities for a cellar door, restaurant and retail store. At Zebra Vineyards, we define quality at every step of our process. With every job, we strive for perfection. Naturally, our philosophy towards vineyard management is extremely tactile in practise. From shoot thinning, lateral and leaf removal, crop thinning and pruning, right through to hand harvesting - every step of the process is performed by passionate, well trained staff who love wine just as much as we do. We are driven to deliver the best disease-free, clean, fully ripe fruit we can and proud to produce only the best grapes for the most discerning winemakers. 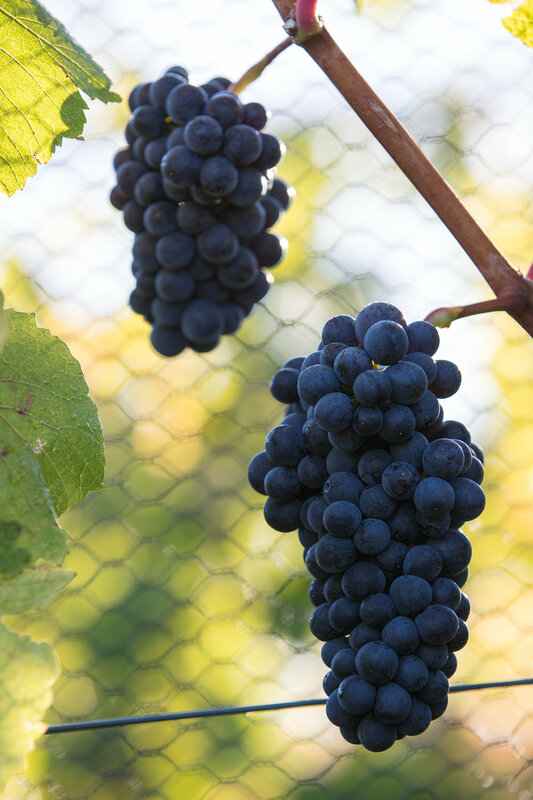 Our grapes are used for award-winning, ultra-premium wines. Over the years, Zebra's dedication has been showcased in many single vineyard designate wines, including Craggy Range, Mt. Difficulty and Grant Taylor’s Valli. Discover the dependably robust and complex characters, captured and individually defined by master winemakers using our full-bodied, 'distinctly Bendigo' fruit.